The May Creek Landfill Site is located in a residential area of King County, Washington, and has reportedly operated as an illegal solid waste landfill since the early 1990s. The property owner has claimed to be operating a composting, material recovery, waste reduction and recycling business at the Site. 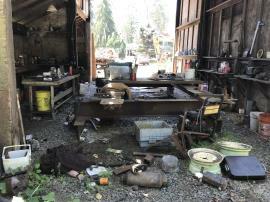 Additionally, EPA also received reports that metal scrapping activities were common at the Site. Wastes collected, stored, and piled at the Site include, but are not limited to, containers of chemicals, abandoned cars, building materials, household waste, and yard waste. In February 2016, EPA participated in a sampling event at the Site. The entry was conducted under a search warrant obtained by the Washington State Attorney General's office. Participants included representatives of the Washington State Attorney General, the Washington State Patrol, Washington State Department of Ecology, EPA, and EPA's Superfund Technical Assessment and Response Team (START) contractor. EPA observed that the ground surface was covered with many thousands of tons of solid waste including junked vehicles and boats, construction debris, household waste, industrial solid waste, and hundreds, perhaps thousands, of containers (e.g., tanks, drums, buckets, etc.) of potentially hazardous substances. 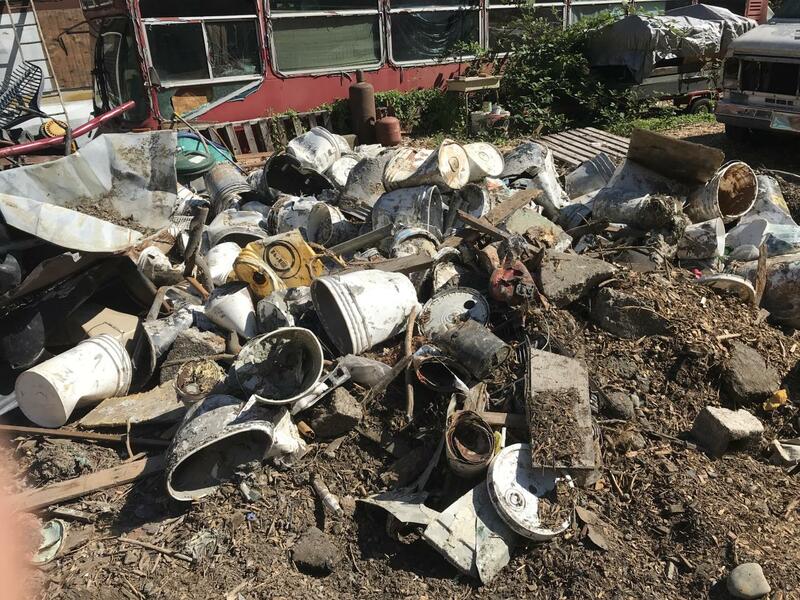 There was no apparent organization to the manner in which waste was stored at the Site, with the solid waste appearing to cover virtually all of the ground surface available and at unknown depths, possibly up to 20 feet deep. As a part of the investigation, EPA's START contractor collected surface soil samples at the few locations were soil was exposed, and laboratory analytical results indicated concentrations of chemicals exceeding the cleanup levels for the Washington State Model Toxics Control Act, Method A for Unrestricted Use for cadmium, chromium, benzo(a)pyrene, polynuclear aromatic hydrocarbons (PAHs) as a total toxicity equivalent concentration (TTEC), and motor oil range organics. START also conducted a brief inventory of chemical containers to attempt to collect a series of representative samples of the contents of the containers. The containers were unlabeled or inaccurately labeled, inappropriately stacked upon one another, and showed evidence of leaking. START collected a total of nine container samples and conducted field and laboratory testing to determine whether the contents presented Resource Conservation and Recovery Act (RCRA) hazardous waste characteristics. The results of the testing indicated the presence of toxic, ignitable, and corrosive materials in the containers. Extrapolating the results of the inventory and field testing, EPA concluded there were likely dozens, or perhaps hundreds, of chemical containers at the Site that contain substances that exhibit RCRA hazardous waste characteristics. 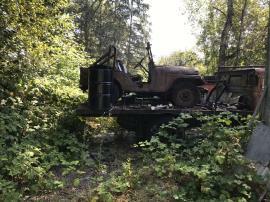 In July 2018, EPA returned to the site with its START and Emergency and Rapid Response Services (ERRS) contractors with personnel from the Washington State Department of Ecology and King County Solid Waste Division to conducted a site walk and establish the scope of work for the planned removal action. EPA observed approximately 250 visible containers at the Site. 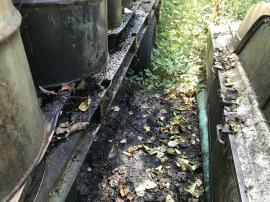 The containers were primarily 1- and 5-gallon capacity, with approximately fifteen to twenty 55-gallon drums. Most of the containers did not have labels, and there was no recognizable system of storing the containers safely, in a manner suggesting regular use, or with care to prevent release. 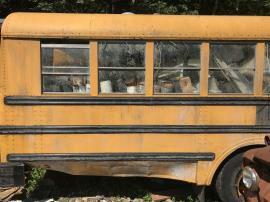 The property owner reported that he had emptied various containers from the bus/RV area of the Site onto wood chips (used for absorption) spread directly onto surface soil. 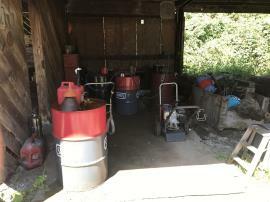 The property owner reported to have emptied containers with latex paint only, but it is unknown whether any of the emptied containers also included mixed waste. The volume of fuel in junked/abandoned vehicles was not assessed nor the contents within at least two tanker vehicles abandoned at the Site. Evidence of container releases were observed, including actively leaking containers and stained soil. Suspect ACM was observed throughout the Site. 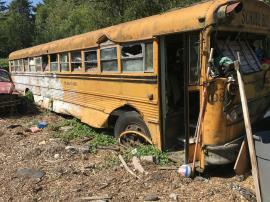 Many parts of the Site were not safely accessible (e.g., inside overly packed buses and recreational vehicles). It is possible that containers are buried and intermixed with solid waste in the 4- to 5-acre landfill area based on how containers were managed on the surface.